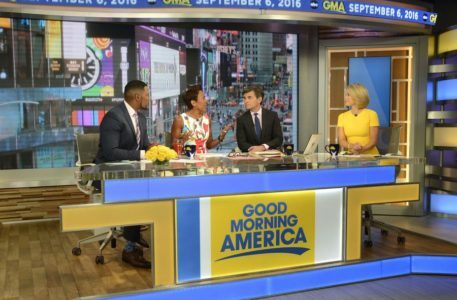 That’s how designer Seth Easter describes the decision to drastically expand the footprint of “Good Morning America” to the second floor of its large, multi-level complex in the heart of Times Square. Not only does the second floor give sweeping views of one of the busiest and most vibrant intersections in the world, it ties together the show’s existing relatable and warm look and feel. “With moving upstairs, we wanted to make sure it felt like we were in the same environment; an extension of the first floor studio,” explained Easter. To do this, Easter carried through the warm wood tones and textures from the ground floor space, which was also recently updated, making the second floor renovation the apex, literally and figuratively, of a makeover of the show’s studios. 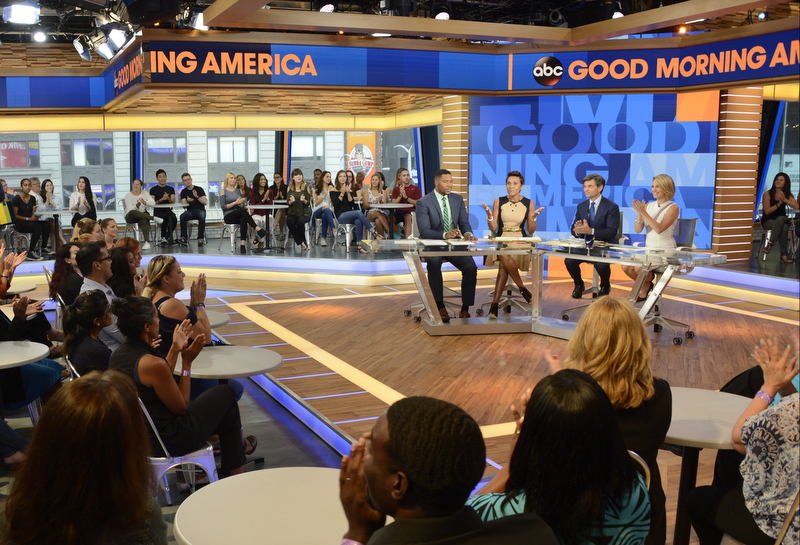 With the second floor completed, “Good Morning America” can now take full advantage of its sweeping views of Times Square from both indoors and outdoors, giving producers the ultimate level of flexibility for segments that include audience members. “We wanted to take full advantage of the windows,” Easter said, noting that it’s a view that’s virtually unmatchable. 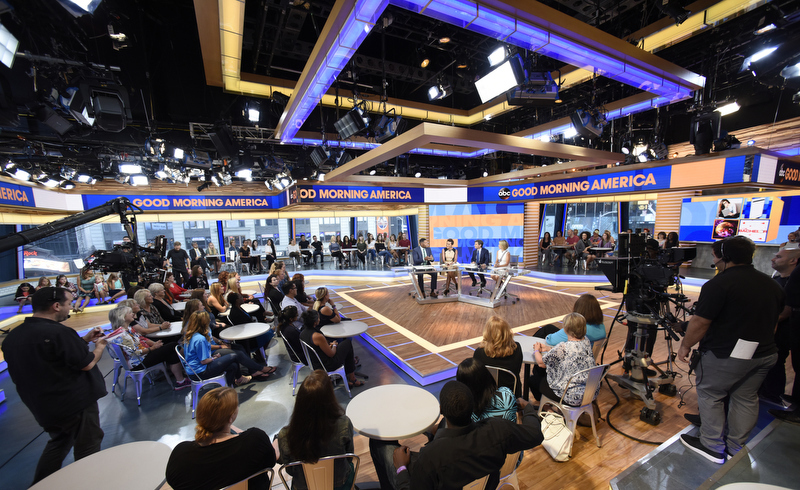 During the design, Easter took the opportunity to really consider how to give the audience a different level of comfort and interaction with the broadcast since the show already has access to a streetside audience outside the anchor desk on the first floor studio area. “The tables and chairs were key for that,” explained Easter, referring to the cafe and bar-style seating that can be set up around the second floor space. That idea sprung from ABC’s presidential town hall — “we realized the audience doesn’t feel as exposed with something in front of them,” said Easter. 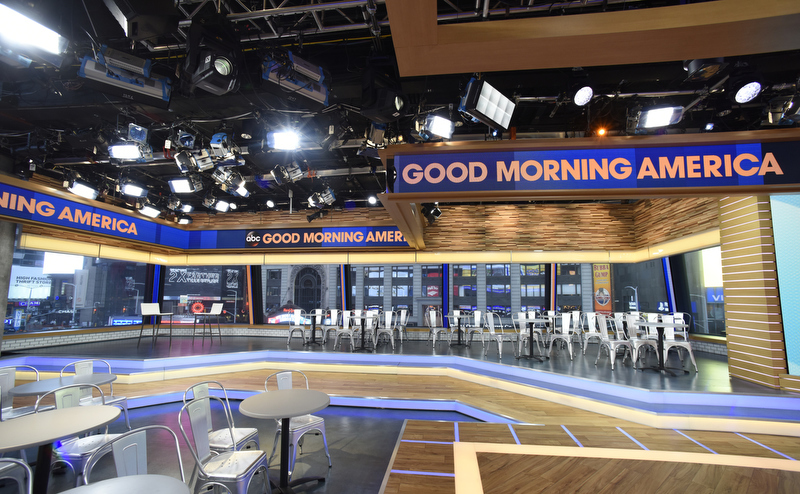 Not only does the sprawling space perched high above Times Square give “GMA” this new way to interact with audience members, it’s also packed with features and technology for ultimately flexibility. 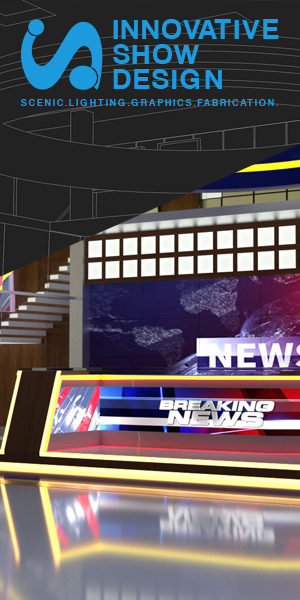 A 12-foot high LED wall is situated in one corner of the studio, directly behind the raised platform that can be used for a variety of segments, whether it’s a traditional anchor desk setup, dancing demonstration or interview segment. “That’s the workhorse of the studio in terms of production space,” explained Easter. The space also includes offshoot venues that will give the show even more flexibility as it settles into its larger digs. A smaller performance space equipped with additional video walls lets the show bring live feeds of Times Square — despite the fact the space faces an interior wall. There’s also a standup area along one wall that can be used for Skype interviews and demonstration-style segments. That flexibility may end up being showcased even more come November. 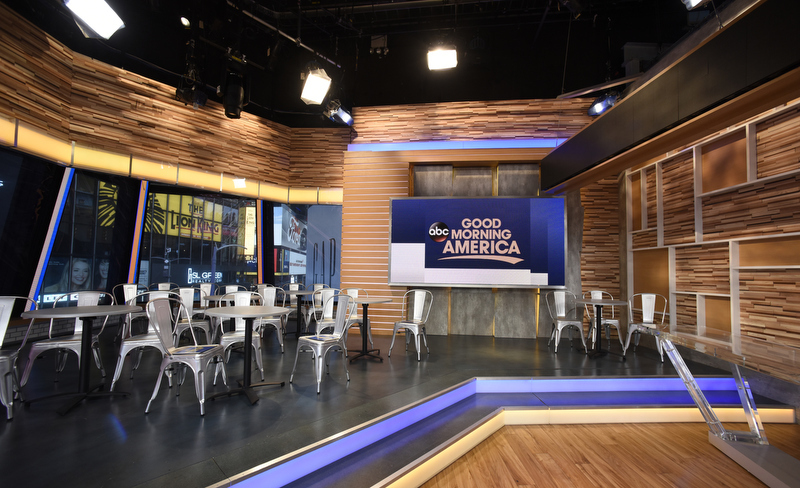 Though he emphasized nothing has been finalized, Easter said he aimed to create a space that could also be used for election coverage (or any other special uses) should ABC go in that direction. 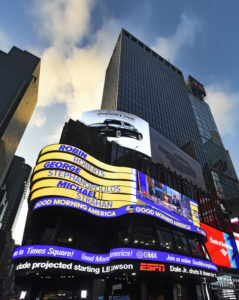 The network has used the Times Square Studios for its election coverage in the past. Equally important to ABC and Easter was creating a look and feel that connected with the downstairs studio space viewers were already used to. “We needed to create something inviting and something people would watch to watch … and not something to do something that’s completely unattainable,” said Easter, adding he gets emails from viewers looking to use the same wood tones in their own homes, a cue that the design succeeded in being comforting and relatable.